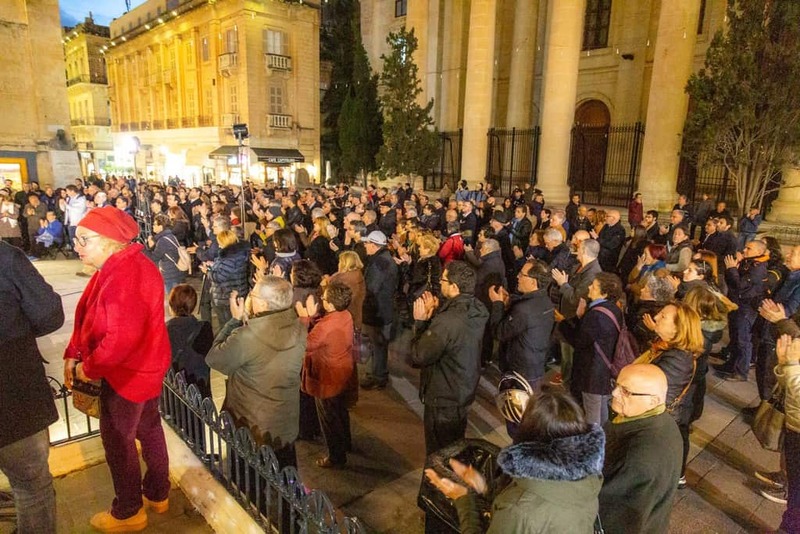 John Philips, veteran Rome correspondent for British newspapers who now writes for Italian English-language newspaper The Italian Insider was in Malta this weekend to cover the vigil marking 17 months since the assassination of Daphne Caruana Galizia. Here’s a link to his piece. Look at this choice quote: “In a miserable measure recalling the practices of Communist and Nazi totalitarian regimes of the past, city dustmen during the night each month remove the flowers and candles from the memorial to Daphne within hours of them being placed there by citizens. The island’s rulers claim the simple tributes ‘pollute the environment,’ on troubled Malta, an assertion that is laughable given that government-sanctioned building speculation is rapidly destroying the once pristine countryside of the Maltese archipelago”. He got only one detail wrong. He thought the city dustmen did the clearing monthly and he thought that recalled the practices of Communist and Nazi totalitarian regimes of the past. You’d have to wonder what his similes would have been if he realised the clearing happens every day, several times a day.